Here are the da/rosella flowers I brought from West Africa. I'm not certain it's the same plant, but Hibiscus sabdariffaas is also known as rosella. Native to Australia, Hibiscus sabdariffaas is used here in "bush" and gourmet cooking. While cleaning out some kitchen cupboards, I noticed that I still had some dried da flowers. I believe da is the same plant as the Australian rosella. Harriet Hill sent me the PDF file for this cookbook, so you can download it from the link below. I looked up the recipe for da cordial (bissap) in Wild Boar on the Kitchen Floor. My copy of this West African cookbook is looking pretty tattered, so I sent myself on a hunt for the cookbook online. 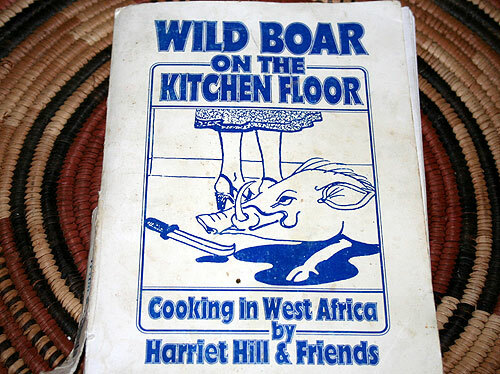 Harriet Hill sent me the file, giving me permission to make it available here, so if you’re looking for some favourite recipes, download the Wild Boar cookbook here. Thanks so much for that PDF! I had completely forgotten about that book. Looking forward to cooking up some yummy African meals for my friends and family! That is different from “bissap” used at afternoon teas and parties?? Lauren, thanks for fixing the link. I was so excited to see that you had the cookbook on line. I had been sharing recipes from my now well worn copy with friends. Now, I can access all of those recipes easily! Hope things are going well for you. Hi there! Thank you so much for posting this cookbook! I use my copy a LOT. Sad to say, when I try to look at the pdf file, it keeps saying there was an error. Is the file still good? Thanks! Dad, yes I think "da" is what we in southern RCI called "bissap". Incidentally, da/bissap is a great drink to have when travelling in West Africa because by the way it's made, it means the water has been boiled. Same with gnamkudji. 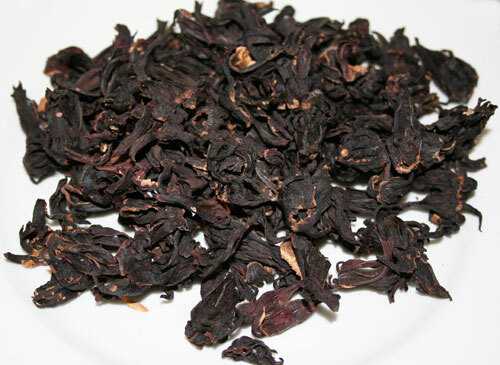 I just realized that what is sold as “Jamaica flower” or “sorrel,” here in Atlanta, is probably the same thing. Maybe I’ll buy some this morning. Thank you so much for the cookbook! I have never heard of it and look forward to using it. I will figure out how to add the pdf to my kindle for when electricity is unreliable.